Yet again, we have been blessed with another Eid, this time Eid-ul-Adha, which falls two months and ten days after Eid-ul-Fitr. 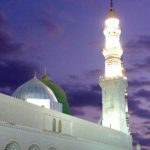 It is one of the two Eids that Muslims celebrate all over the world. 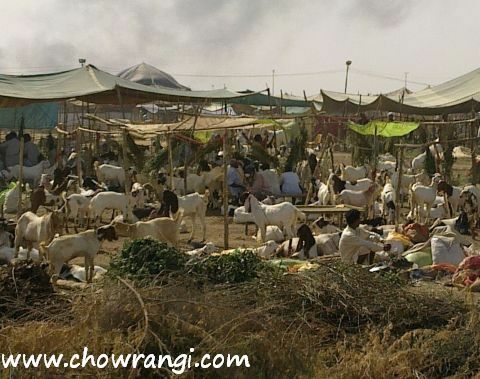 On Eid-ul-Adha, Muslims sacrifice animals – goats, cows, camels – and divide the meat into 3 parts. One is given to the poor and needy, the other is distributed among relatives, and the remaining is kept for oneself and one’s family. 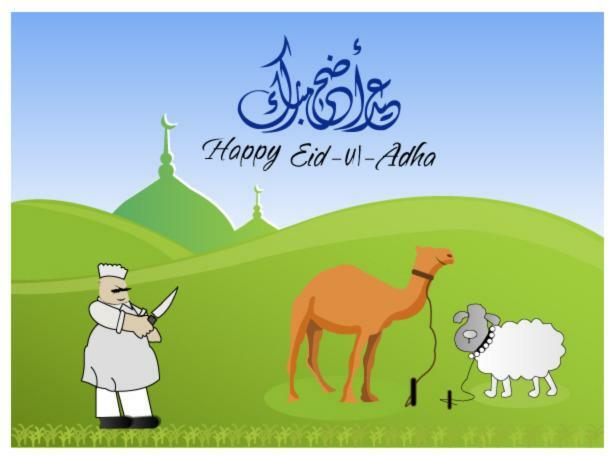 Eid-ul-Adha is a reminder of the story of Prophet Ibrahim (AS). He had recurring dreams that he is to sacrifice his son. As a Prophet, he knew that dreams were a message from the Almighty. Allah (SWT) commanded Prophet Ibrahim (AS) to sacrifice his son, Prophet Ismail (AS), on Mount Mina, near Makkah. Prophet Ibrahim (AS), unable to bear the sight, blindfolded himself and began the sacrifice. However, just as he began, a message from Allah (SWT) was revealed through angel Jibrael which told Prophet Ibrahim (AS) that he had passed the test, and he could sacrifice a ram instead. This is the story of extraordinary obedience of Prophet Ibrahim (AS), who was ready to sacrifice his son on Allah’s (SWT) command. This is the son that he got after a lot of years with many prayers. This story also shows the incredible obedience of Prophet Ismael (AS). After receiving the order of Allah (SWT), Prophet Ibrahim (AS) told Prophet Ismael (AS) about the dreams, and Prophet Ismael (AS) did not have any hesitation in fulfilling Allah’s (SWT) command. While very young, he was ready to go under the knife to obey the order of Allah (SWT). This was the level of obedience that both father and son had towards Allah (SWT). Holy Quran: “O my Lord! 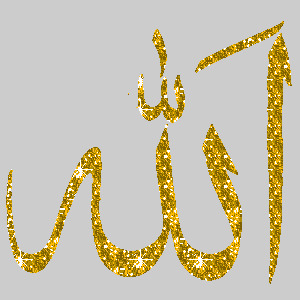 Grant me a righteous (son)!” So We gave him the good news of a boy, possessing forbearance. And when (his son) was old enough to walk and work with him, (Abraham) said: O my dear son, I see in vision that I offer you in sacrifice: Now see what is your view!” (The son) said: “O my father! Do what you are commanded; if Allah wills, you will find me one practicing patience and steadfastness!” So when they both submitted and he threw him down upon his forehead, We called out to him saying: O Ibrahim! You have indeed fulfilled the vision; surely thus do We reward those who do good. Most surely this was a manifest trial. And We ransomed him with a momentous sacrifice. And We perpetuated (praise) to him among the later generations. “Peace and salutation to Ibrahim!” Thus indeed do We reward those who do right. Surely he was one of Our believing servants. Eid is a day of celebration. Muslims wear new clothes and celebrate the day with vigor. The morning starts of with the Eid prayers and proceeds with visits to friends and relatives, and of course, the slaughter of an animal. •°• So Embracing, Inspiring and Distributing The 3 makes EID Meaningful.